The first thing that comes to your mind when you think about planning a winter’s day out might not be ‘roller coaster’, but the bird’s-eye view from the top of the Gatlinburg Mountain Coaster might change your mind. Our unique system also affords you plenty of opportunities to snap pictures of snow-covered trees and spot winter wildlife peeking out at you. 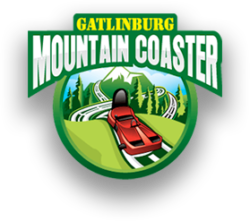 A trip to the mountain coaster in Gatlinburg is also easy to combine with other activities in the Smokies. The Smoky Mountains are especially beautiful in the winter, but many people are unaware that there are options for cold-weather activities in Gatlinburg other than skiing. Why not enjoy the brisk mountain air — with none of the expense or risk of winter sports — with an amazing view? When you arrive at the Gatlinburg Mountain Coaster, our uphill lift system bustles you to the top of the mountainside with no need for strenuous climbing or walking. As you go upwards, all of Gatlinburg quickly becomes visible below you and, by the time you get to the top, an incredible panorama has emerged. Look out over the city below, with range after range of the Smokies emerging beyond. With snowfall quite common in the first two months of the year, there is a good chance that the beautiful greys, greens, blues, and purples of the Smokies are dusted with snow. You may even see the mountains completely covered in fresh powder, which offers both amazing photo ops and a sense of peace and quiet. Your first thought for enjoying the serenity of snow-covered Smokies may not be a roller coaster, but the Gatlinburg Mountain Coaster is unlike any other in the area. The advantage of starting atop a mountain is that the only thing propelling you to the bottom is gravity. This means there are no chains, cables, or machinery guiding you, nor any need to couple carriages together. Take a trip downhill by yourself and if you see deer nosing out from the undergrowth or birds tweeting, apply the handbrake to come to a complete standstill and enjoy them. The ride is totally quiet without the usual apparatus, so you may encounter a perfect moment of peace. 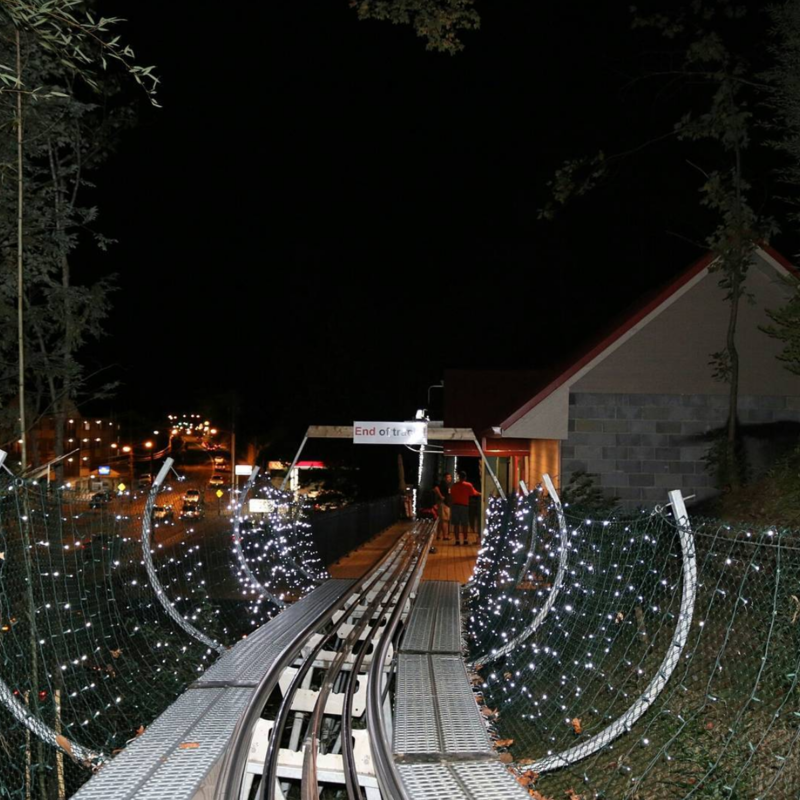 A different way to experience the snowy scenes of the mountain coaster in Gatlinburg is through a No-Brakes Night Ride. Once the sun goes down, the coaster cars plunge to the bottom without any brakes to slow them down. With speeds of up to 35 miles per hour, this is exciting enough, but the track has sections covered in twinkling lights. Speed to the bottom in-and-out of tunnels of light, made even brighter when they are blanketed in snow. Book your tickets online before you come and save on unlimited rides and combo passes!